Light up the soul of your bathroom with modern bathroom lighting! 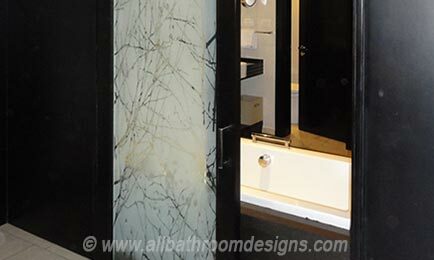 Bathrooms are personal sanctuaries and deservedly are getting more attention from home owners. And let's be honest, we all need good lighting in the bathroom so that we can look our best as we groom ourselves. Doing that in poor or insufficient light could be catastrophic! 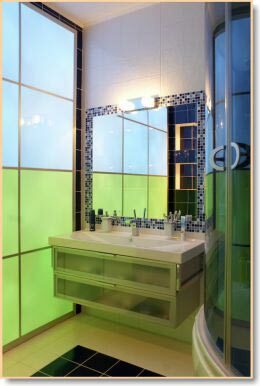 So let's get started on how to enjoy your bathroom time...not just visually but with your senses too! 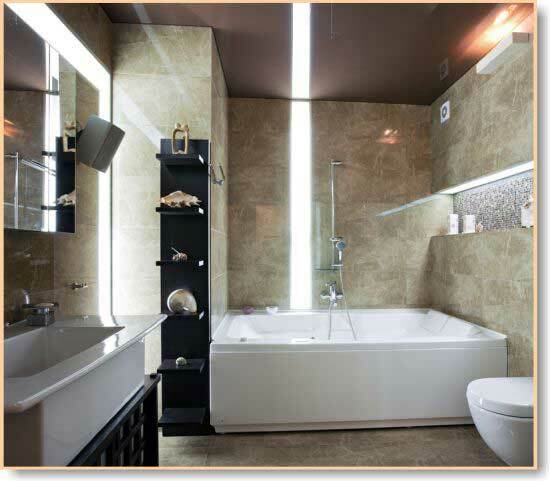 The best way to optimize the use of modern bathroom lighting is to have fixtures with dimmers. Controlling the light intensity will contribute to a large extent towards defining the right mood for different tasks. Dimmer controls also help you save energy! The range of modern bathroom lighting designs is exhausting and intriguing - and choices ever increasing. 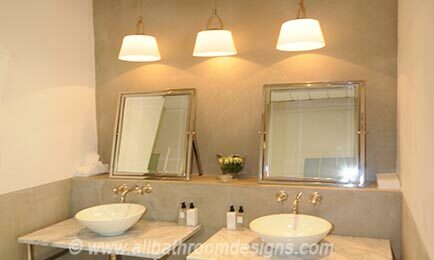 But, the most important thing to remember when choosing contemporary bathroom lighting is to know the kind of ambience or atmosphere you want to have in your bathroom ...bright, dramatic, quiet, quirky, romantic... knowing what you want is the only way to know the type of bathroom lighting you need. Badly placed modern bathroom light fixtures can be unpleasant and even, scary. 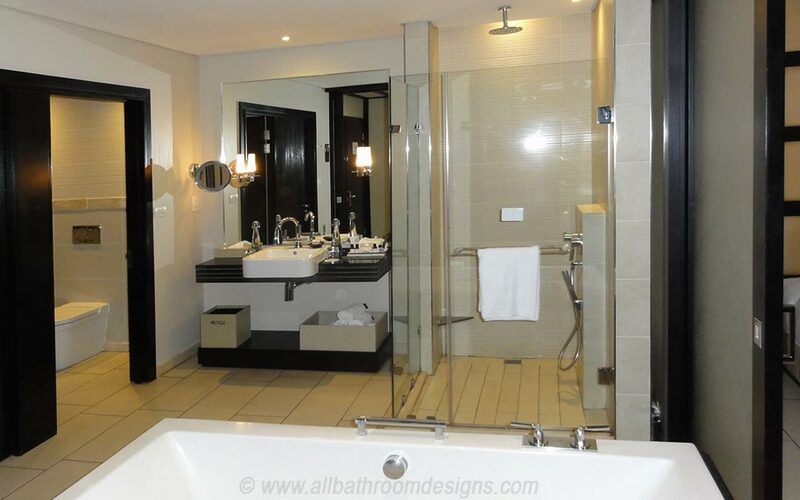 For the 'shower and go' kind of person your area's light fixtures could create a bright and energetic environment. For the 'love to linger in the bath' kind of person your bathroom's light fixtures should be able to craft a relaxing, calm and enjoyable atmosphere. The types of lighting required in the bathroom depend on the tasks that need to be accomplished at various times during the day. Required for all your grooming requirements. Ideally the placement of the task light shouldn't lead to unwanted shadows or any such special effects. 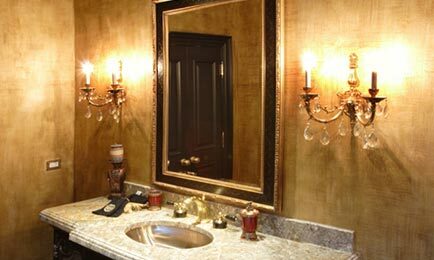 Be aware that if you choose to install a light above the vanity it will cast shadows Instead place task lighting on both sides of the vanity mirror. You can use vertical light fixtures or sconces to ensure proper light is available for grooming yourself. Recessed lights, specially made for shower use, mounted in the ceiling enables you to see properly when shaving and checks that you don't leave the shower with soap on you! Task lighting should be simple, effective, and well placed. This is the main source of lighting in your bathroom. Your imagination is the only limit. Again, it's good to know the kind of ambience you want to create, so that you can use modern bathroom lighting fixtures accordingly. Recessed lights to create a dramatic, yet pleasurable atmosphere that is soothing and relaxing. The bathroom is your own personal sanctuary isn't it! Note though: A couple of recessed lights may not be enough as they aren't powerful enough to light up the entire space and dotting the entire ceiling with downlighters is not very attractive either. Use recessed lights with glass lens covers only. Plastic covers become yellow with use and age. 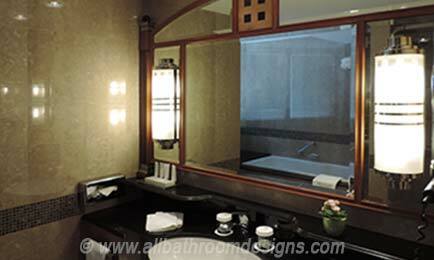 A combination of recessed and other types of bathroom lights (e.g. sconces, under-counter lights etc.) could give you the ideal solution as illustrated below. And of course, if you use dimmers you can tone it down as and when. Ensure that you buy the right dimmer for the right type of bathroom lighting. For example: Incandescent lights require dimmers especially made to operate them. Choose bulbs in warmer tones to ensure your skin looks the best. You can also used colored bulbs for a more moody bathroom. Use candles to light up your tub area, or tall candle stands with scented candles to create a romantic and relaxing mood. This is one of the best ways to create focal points in your bathroom. Accent lighting is, by far, the highlight of modern bathroom lighting designs. Accent lighting is a visually powerful way to draw attention to a specific feature or part of a room. Accent light fixtures don't need to take up any counter space, but can make your bathroom look bigger and more interesting with their play of light and shadow and refelection on mirrors. 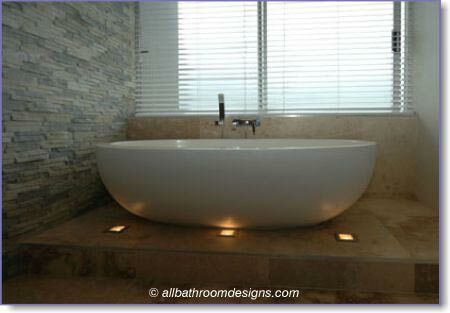 Install accent lighting in the floor to make your bathtub a focal point. If you want to create a whole new bathroom design element that stands out on its own, use accent lights to highlight the nook where your vanity or bathtub sits. Try installing recessed lights in the floor or hidden in the wall behind it. Be creative and think out of the box! Take a look at industrial light fittings, standing garden lamps or up-lighters or backlit Perspex sheets in your accent color as back splash for a vanity or bath. 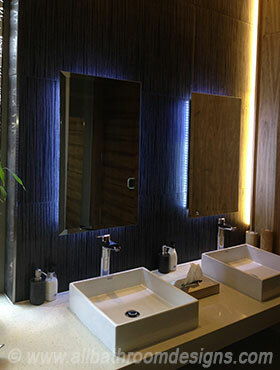 A small word of caution: modern bathroom lighting designs can be challenging, and the challenge lies in ensuring that the right amount of light is available for the various areas of a modern bathroom depending on that area's function. Whether you use glass, ceramic, stones, wood or any other material, without the right type of modern lighting design it will be hard to draw attention to those elements. 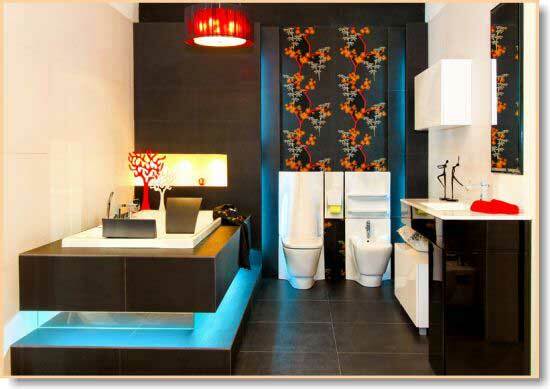 Modern bathroom lighting can transform a simple bathroom into a magical space!